Every culture has found ways to restore body, mind, and spirit in nature. 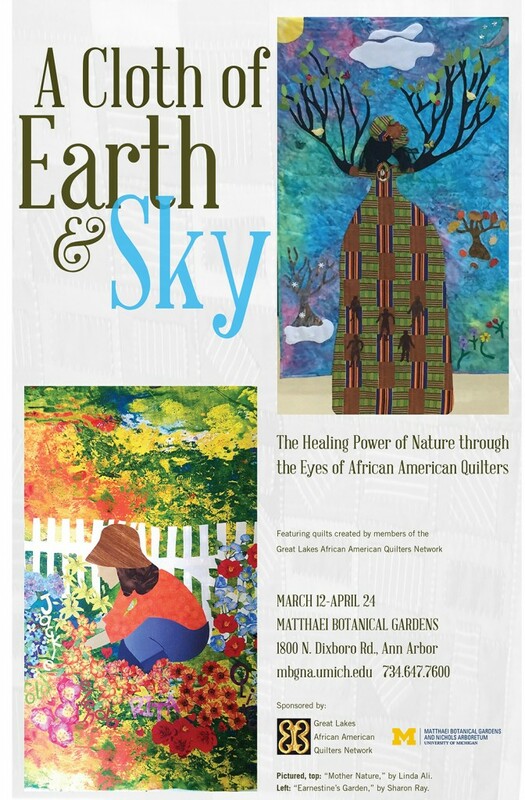 In this exhibit, African-American quilters from the Great Lakes region interpret how plants, gardens, and nature are embedded in cultural awareness and expressions of health. The exhibit includes inherited and contemporary works that express cultural legacy based in the art of quilting related to individual and shared healing. Sponsored by the Great Lakes African American Quilters Network & Matthaei-Nichols. Exhibit runs March 12 – April 24 at Matthaei Botanical Gardens.